There exists a timeless doorway that reveals a truth incorporating speculation, mythology and lost history. A threshold to define our past. Giza's Great Pyramid, a true wonder to our world, now mostly a ghost to it's original treasure. Acclaimed to be built by Egyptians of our time-line era; with original documentation lost to time, many historians believe through mythology this monument is an entrance to lost history. Plato's Atlantis, Churchward's Mu, Hindu Vedics and scriptures Tower of Babel all claim a prior advanced civilization once walked the Earth encoding a message to a distant civilization, in order they may not be forgotten. 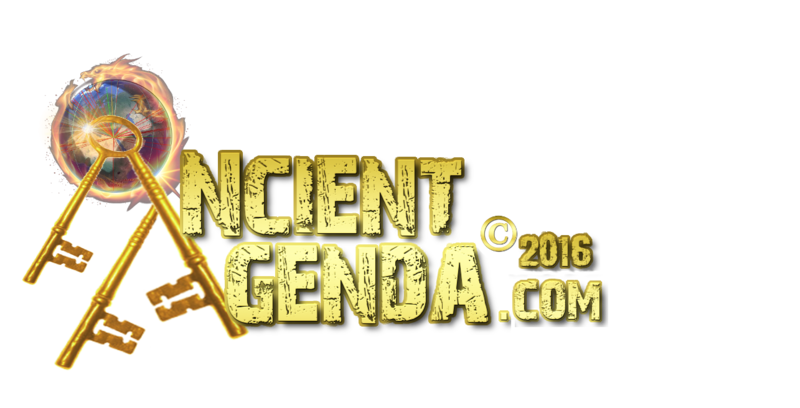 Many reveiw the Great Pyramid to be the primary message. The tallest building on Earth until the Eiffel Tower was completed in the late 1700's, the compilation of constructing with 2.5 million megalithic stones is staggering beyond comparison. With an orientation off one degree of 3.60tieths from true North, today we can only be that accurate using GPS coordination. The advanced mathematics this megalith offers can be found in it's build structure and professional design. If this historic monument is truly a vault to lost history..could we open the door and remove the stone blocking this myth..? Since the inception of archaeo-Egyptology, professors and professionals alike have documented anomalies to this great wonder of Giza. Archaeologist sir Flinder Petrie in the late 1880's was among the first to do so. Of the many documentations he contributed, Petrie documented an anomaly of the original pyramid entrance detailing a 'swing-block' stone door, which he believed hung on two holes found at either side to the inside entrance top-overhang. This enabled the door block to pivot-swing. Petrie had detailed this on Dahshur's Red Pyramid entrance [which at that time was still intact] and so concluded the Great Pyramid revealed the same advanced 'pivot-door' details, thereby being constructed the same. Knowing these details which supply an advanced knowledge in building procedures and stone manipulation..could there possibly be an overlooked-unrecognized recorded venue to review this impossible lost history myth that verifies the Great Pyramid was built by a prior unknown advanced civilization as so many historians claim? The desert of South America boasts an impressive message detailed in figurines, trapezoid and geometric shapes with lines crossing this desert for miles in visually accurate detail. Hidden in plain sight among this colossal artwork is a blueprinted message that details the greatest mystery in history, allowing a doorway to understanding from our lost past. Located at the heart of Nazca are giant renditions in exactness of the Great Pyramid executing every known detail..also detailing knowledge of the Great Pyramid time and human destruction have eroded. Here, at this hall of records, is recorded our lost history. Enter if you so dare.. The supplied diagram from Google Earth reveals aspects in colossal form to Petrie's documented claim of the Great Pyramids 'swing-door' entrance block. The diagram actually equates an abundance of evidence of verifiable detail to that specific diagram, also completing 'other' additional pertinent information answering the existing mystery. Arrows as directional markers supply the directions to understand the schematic. The excessively large block drawing has both descending and ascending passageways plus the Great Pyramids advanced architectural Grand Gallery laid out for unmistakable reference. 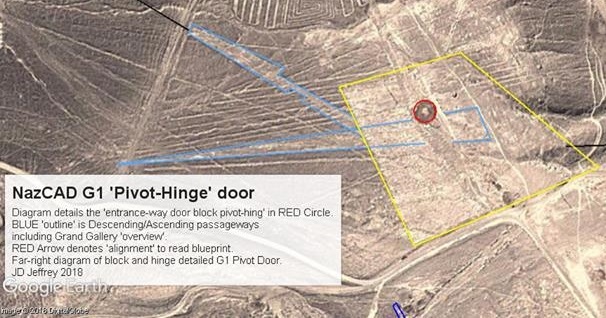 The 'Double-Boxed' geoglyph with directional-marker above the entrance-block details the 'back & forth' swing motion of the entrance block, also detailing the 'closed' doorway appearance referenced with a line bisecting both geometrically 'squared-circles' to show the 'closed position'. The diagram also details [with various glyphs] the 'hinge-pin' and its over-head insertion location. Following Nazca's schematics, you are shown the Pivot-block drawn in detail on the bottom right corner of the diagram with a line connecting it to the large block drawing. Nazca's doorway to history details in desert resolution the Great Pyramid with schematics addressing all build procedures including the pivot swing-block entrance door; verifying an integral part to the Great Pyramid blueprints. 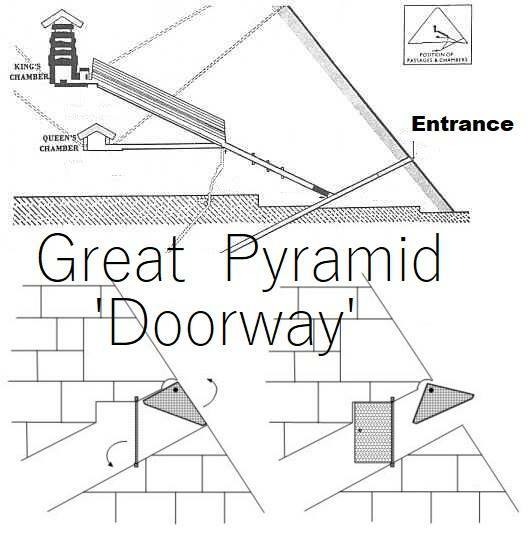 It appears Flinders Petrie was right once again as this diagram details what represents a doorway 'hinge-hole' accented in a huge-block outline that contributes additional information to the Great Pyramid's interior. For added verification, the Nazca 'Swing-Block' diagram is located at the North-East entrance to the NazCAD diagramed desert of the Pampas region. The Great Pyramid entrance is on the North side 24 feet from center, on the North-East facing corner. A significant factor drawn and revealed within the sands of time by our ingenious Grandcestors allowing us a doorway into the grand Architects mind.. The mysterious Nazca Lines, designed for an advanced society to acknowledge, represents a doorway to our lost history..and that time itself, has come unhinged.